Lovely frame. It has so much of positivity! I really love the angle of your picture, and look at all this green! I'd love to be wandering down those tracks today. Beautiful! i said - i would love to wander down those tracks with camera in hand .. terrific shot! I feel a beauty and a danger, a tension that a train will be coming and someone will be caught unaware. Love this one so much! It's right up there in my top ten favorites! Oh, this is gorgeous! Makes me want to jump on a train to somewhere! 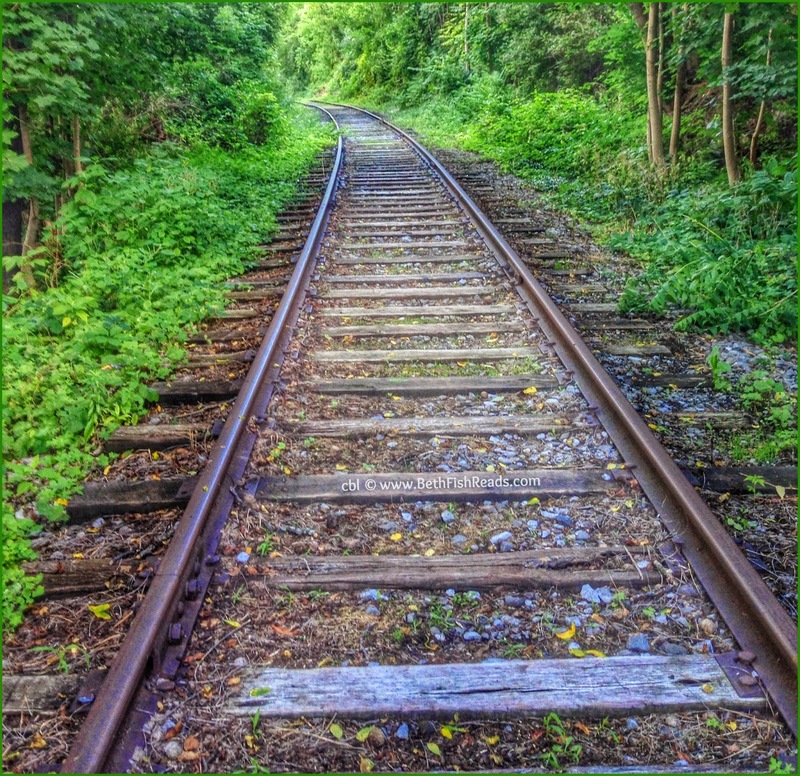 its looks like the east coast,a great trail is the northern central rail line in MD. Those tracks just pull you in -- they almost demand that you follow them! I just want to follow those tracks and see where they go! I love this picture, it's so beautiful. I want to hop on a train and keep going. Ah, the mystique of the rails. Nice shot. love this shot - so many possibilities!